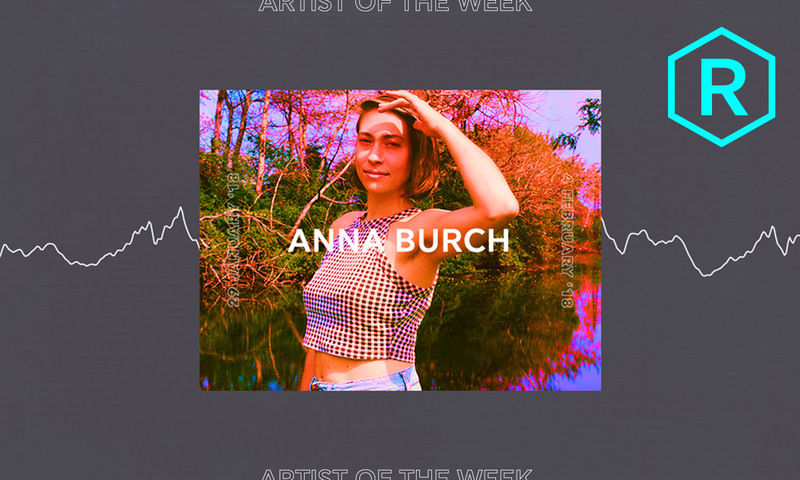 This week’s TIDAL Rising Artist of the Week is Anna Burch. Her debut album, Quit the Curse, is far from her first foray into music. Her extensive time spent in seminal folk-rock band Frontier Ruckus and her recent project as Failed Flowers has given her the life experience that led to her crafting the right collection of music to release under her own name. Burch’s first record is such an endearing listen because it is distinctly the work of someone who has had to call things into question and find what makes them feel right. However, it wasn’t as simple as that. Most people who have creative aspirations are sometimes required, unfortunately, to take emotional and economical stock of their career. Sometimes, the safest thing you can do with your love for music is to take some time away from it. After feeling somewhat burnt out from music, Burch commendably stepped away and pursued a graduate degree in Chicago. With a little help from a group of musicians that includes fellow Rising artist Paul Cherry, Burch was able to fully realize the music that had been swimming around her thoughts for years and years. With Quit the Curse, Burch has crafted one of the most succinct, refined pop albums in recent memory. The record’s length of nine tracks compliments the breezy, opaque instrumentation, and the tracks released ahead of time (“2 Cool 2 Care,” “Asking 4 A Friend,” “Tea-Soaked Letter”) provide the prime examples of what makes Quit the Curse a standout album; melodies that stick and lyrics that you need to sit with, as Burch can slip in some biting thoughts on careless lovers and numbness. The prevailing feeling the album leaves you with is this is work born out of contemplation and exploration of all the things that make us human; the dark and the light. Burch’s persistence on taking the detours life may present and finding herself owning everything that comes with presenting your work to the world. There is something everyone can take from Quit the Curse, and if you can’t find it, it’s because you haven’t looked hard enough. Check back on Wednesday when Burch shares a playlist of the music she wakes up to and, on Friday, when we talk to the Detroit native about her debut album in-depth.